The vessel features an overflow. Double fired and glazed for durability and stain resistance. Two handles for ease of operation and smooth temperature control. The faucet is constructed with lead-free brass ensuring durability. It features a round shape. This undermount sink set is designed to be installed as a undermount undermount sink set. It is constructed with ceramic. 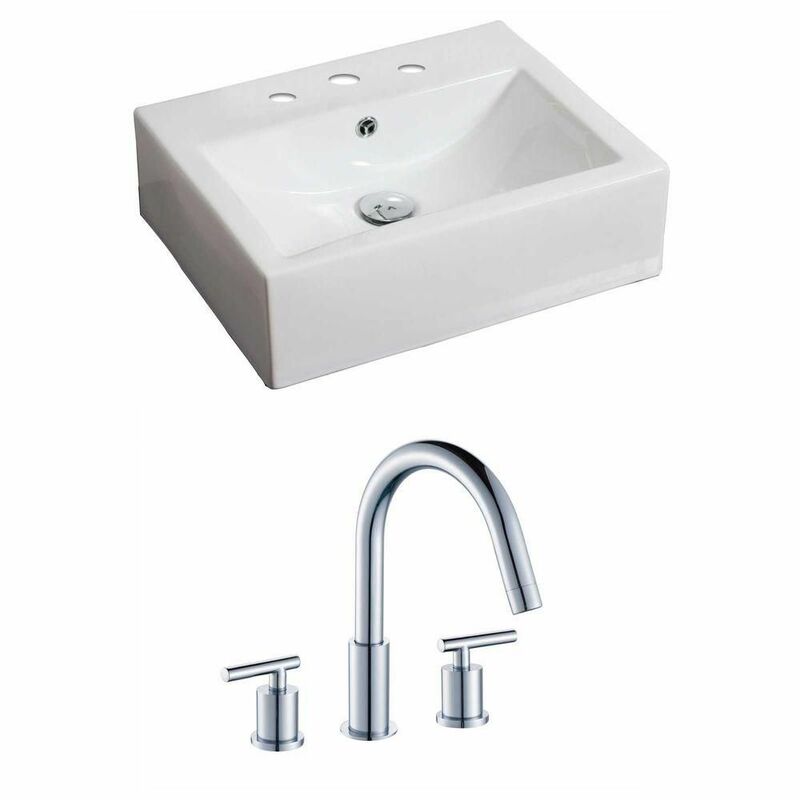 This undermount sink set comes with a enamel glaze finish in White colour. This transitional undermount sink set product is CSA certified. Liven any bathroom by adding a touch of modern chic with this beautiful square vessel sink. Made of white vitreous china, this sink features a single hole faucet drilling and a rear overflow. With its unique shape and striking appearance this vessel sink is sure to transform and add character to your bathroom space. 20 1/2-inch W x 16-inch D Rectangular Vessel Sink in White with Faucet It features a rectangle shape. This vessel set is designed to be installed as a wall mount vessel set. It is constructed with ceramic. This vessel set comes with a enamel glaze finish in White color. It is designed for a 8-in. o.c. faucet.